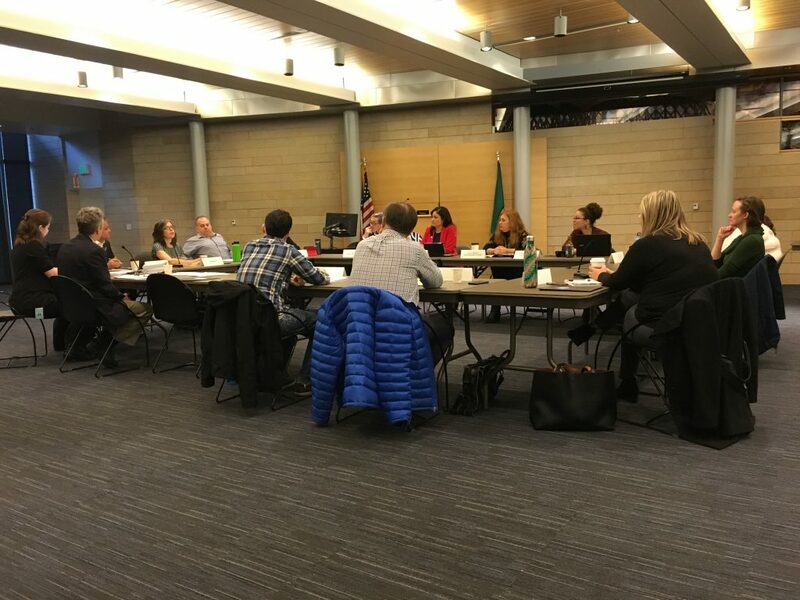 It’s going to be a busy couple of weeks for the Council members involved in proposing a new employee-hours tax on Seattle businesses. Who is participating in the “business roundtable” on the head tax tomorrow? Council member Sally Bagshaw is organizing a roundtable session for businesses and nonprofits tomorrow to discuss the proposed employee-hours tax (aka a “head tax”). Her office sent me a list of who is currently planning to participate. This morning, the Progressive Revenue Task Force held its final meeting and made a handful of minor edits to its final report before voting unanimously to forward it on to the City Council. This morning the Progressive Revenue Task Force held its first meeting, and mostly just decided what its other meetings will be about. This afternoon the City Council announced the members of its Progressive Revenue Task Force, i.e. the group tasked with looking at a proposal for instituting a head tax or tapping into other progressive revenue sources. Today the City Council announced that it has started taking applications for its newly-created task force to look at progressive revenue sources to fund new homelessness and affordable housing investments. On Tuesday this week, the Council voted down an employee-hours tax (aka a “head tax”). In doing so, several Council members who voted “no” voiced their support in theory for a head tax and committed to working on a process with a broad group of stakeholders to evaluate a head tax — and other progressive revenue-raising options — and come back with a specific proposal. On Wednesday, Council member Gonzalez began circulating a draft resolution to that extent, which she hopes to have the Council approve on Monday.